NONE BETTER!!! 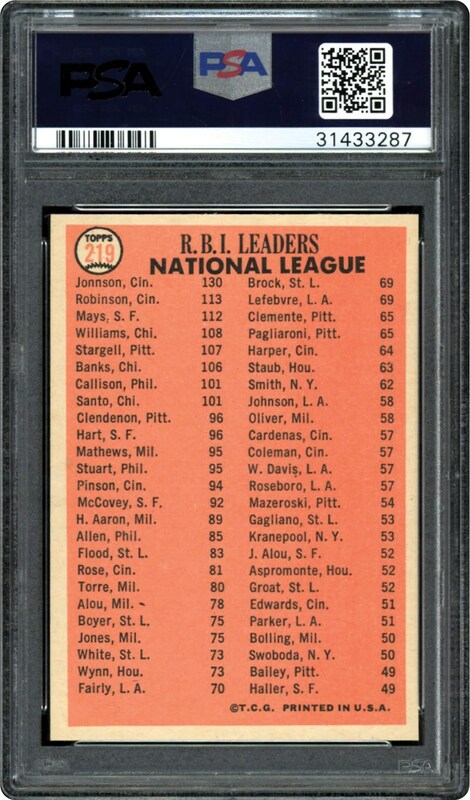 This 1966 Topps NL RBI Leaders card is one of just a handful in the highest grade issued by PSA in the 9 MINT holder. None better than this one. Pack Fresh all the way, this card showcases 3 of the games greats including Willie Mays. 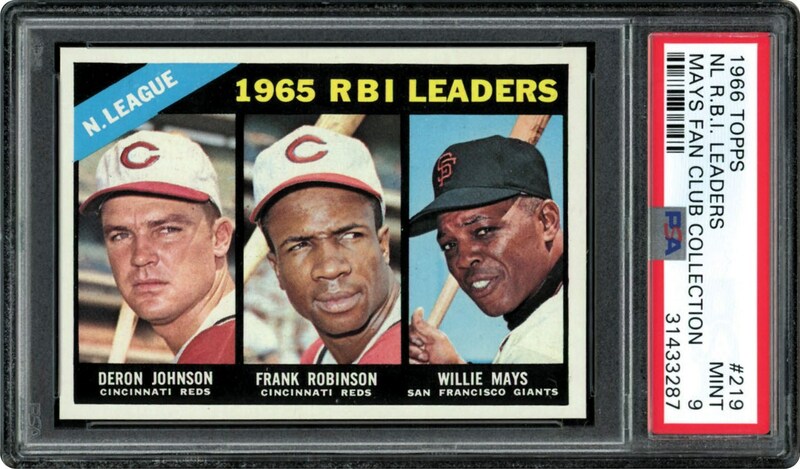 Another MONSTER card from the "Mays Fan Club Collection".